Weather wise a pretty horrible day, with winds up to 30mph and showers throughout the match.. But otherwise reasonably mild.! 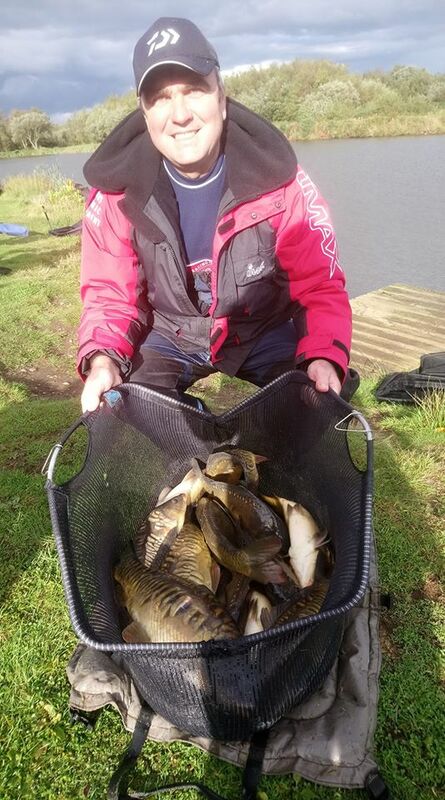 Wallace Lake Section 1 was won by Rosen Arsov who caught 20 carp weighing 72lbs on end peg 32… Caught on the method feeder & in the margin on pole. Second in section 1 was Steve Royle with a mixture of carp ( tip rod. ), and silvers on pole for 50lbs 4oz on end peg 37. 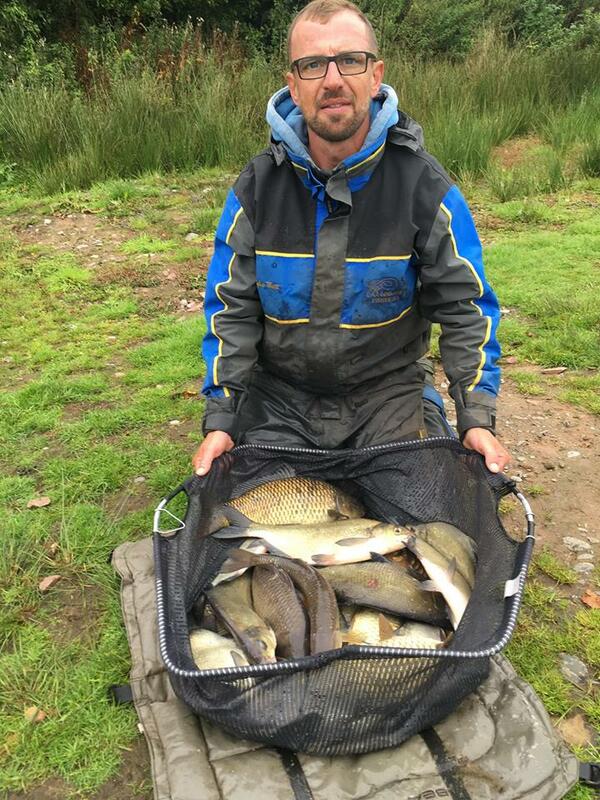 Section 2 on Wallace Lake was won by Simon Heyes on end peg 47 with 64lbs 4oz, mainly carp caught on the method feeder, and a handful of silvers on pole. Second in section was Don Lines with 28lbs 8oz, Don catching a few small carp late on, on the method feeder. 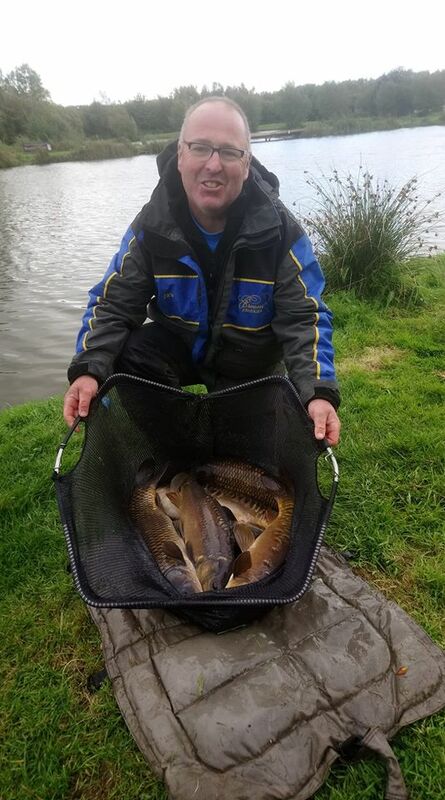 Queensberry Water section 1 was won by Tim Gustard on end peg 16 with 54lb 12oz of Carp caught on the tip rod. Mark Clow took second place with 47lbs 8oz, narrowly beating Mark Acton on the next peg by a mere 4oz who’d weighed in 47lb 4oz in 3rd place. 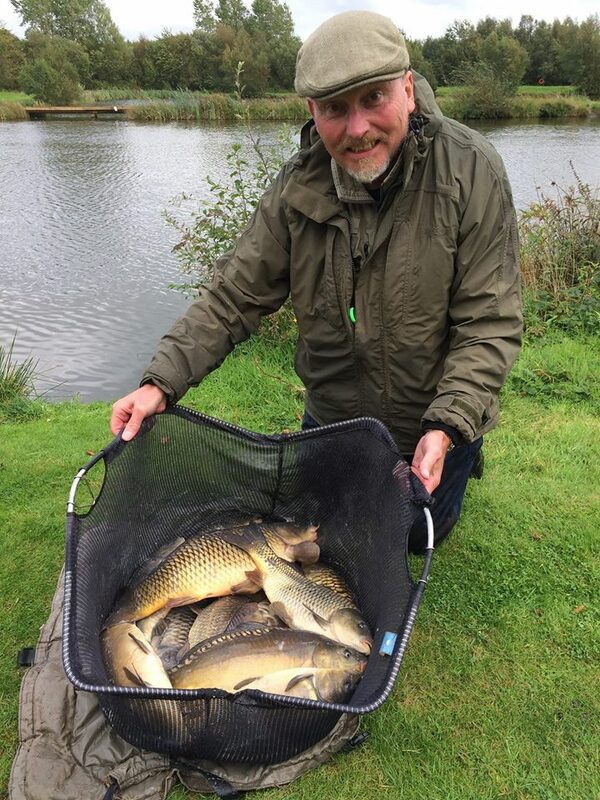 Section 2 on Queensberry Water was won by John Williamson who caught 10 big carp in his margin on end peg 23 to weigh in an impressive 56lb 8oz. 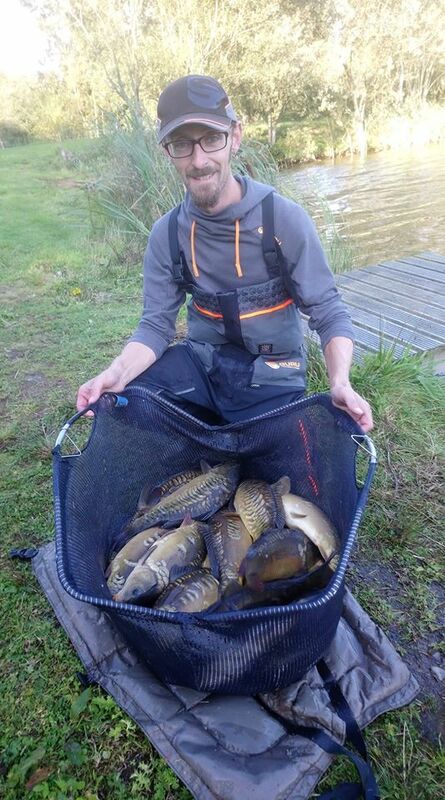 Gerry Blythe took second place with a mix of decent carp and silvers for 53lb.